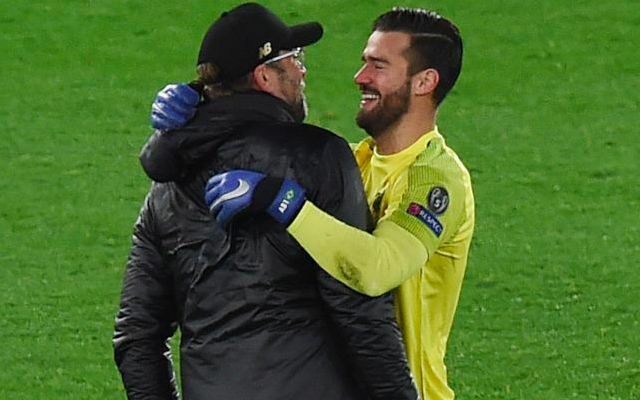 Alisson has announced on social media that he and his wife Natalia are expecting their second child together. The Liverpool goalkeeper took to Instagram to share the news, with the surprised facial expression of daughter Helena an image to behold. It continues a superb year for the Brazilian following his summer move to Anfield and the instrumental role he has since played in leading the Reds to the top of the Premier League table. He has recorded 13 clean sheets in 23 league games so far this season, conceding just 13 goals as part of the best defence in England’s top flight. We all know that Alisson could impregnate anybody just by looking and smiling at them. Alisson announcing on Instagram that his wife is pregnant with their second child! Congratulations! Parabéns! I looked into Alisson's eyes in this pic and I can announce that I too am now pregnant- and i don't even have a womb.